Watch video on potential warning signs and symptoms of a heart condition. Download a pediatric cardiac risk assessment form to review with your child. Review how SCA differs from a heart attack. What is a heart screening? Watch the Cardiac Chain of Survival video. Download an app that enables you to find the closest AED. Take a look at Parent Heart Watch’s members who provide prevention programs in communities across the country. Looking for funding to purchase an AED? Check out these great sites: GotAED and AEDGrant.com. Has your child been diagnosed with a heart condition? Federal law states your school must provide an AED onsite and on field trips. Learn more. Trouble getting your insurance to cover an Rx your doctor wrote for your child’s AED? Visit LifeSure for assistance. Download Cardiac Emergency Response Plan Toolkit. CPR In School Training Kit. Request our flyers and posters for schools and youth organizations. 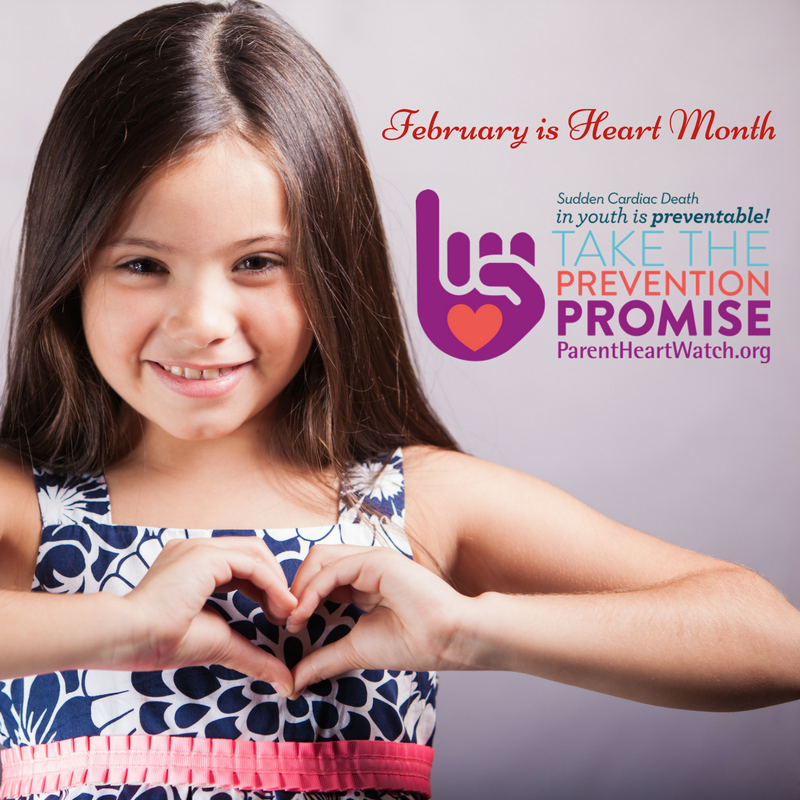 Share the Parent Heart Watch story with key people in your community to inspire them to take action. Use this Prevention Promise graphic in your social media and emails. Use this Heart Month graphic in your February social media and emails. 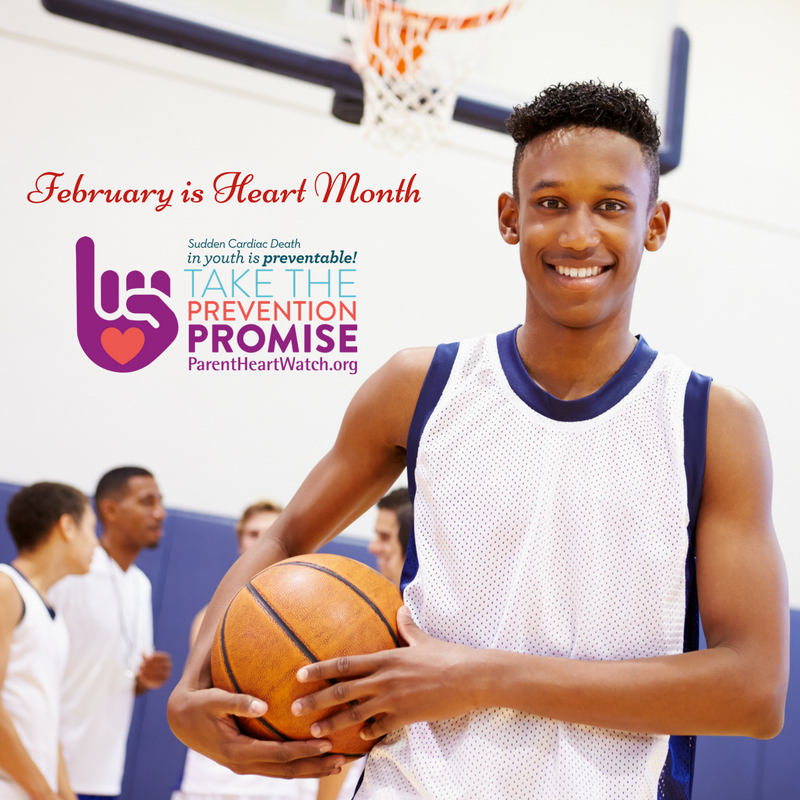 Use this Heart Month graphic in February if you’ve got young athletes. Check out what legislation may (or may not) exist in your state. Request our flyers and posters available to post on your town, club, school athletic and CIF team. National Federation of High Schools’ free 10-minute coaches SCA orientation video. Back to School flyer for Nurses, Coaches and Teachers. Download a pediatric cardiac risk assessment form to review with your health care provider. For young athletes, download a pre-participation sports physical form. Request flyers and posters for your health care provider’s office.